Aetna Inc. is an American managed health care company, engaged in selling traditional and consumer-directed health care insurance plans. Also, services like medical, pharmaceutical, dental, behavioral health, long-term care, and disability plans are a part of it. A member of the Fortune 500, Aetna Inc., has its headquarters in Hartford, Connecticut, United States. Chiropractic care is now a covered service by Aetna, and Dr. Allen Conrad has been helping patients with Aetna over the past 17 years. 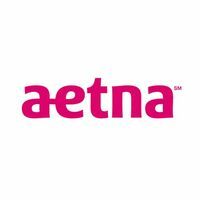 Offering health insurance, along with dental, vision and other plans, to cater to the diverse needs of individuals and families, employers, health care providers, and others, Aetna has been helping about 37.9 million people make decisions about their health care and their health care spending.